Visitors who crave an isolated shoreline will adore the local landscape of Zeke's Island Estuarine Reserve. Situated just south of the Carolina Beach and Kure Beach communities, this collection of isolated islands provides miles of pristine shorelines, wild paddling trails, and plenty of great opportunities for shelling, fishing, birdwatching, and just enjoying the scene. Complement your Carolina Beach, Kure Beach of coastal Cape Fear vacation with a visit to this famed local landmark to discover an entirely unique beach atmosphere, and to discover the natural pleasures of “Pleasure Island.” With ample room to roam, and plenty of activities to enjoy on and off the oceanside sand, Zeke's Island Estuarine Reserve is a destination that will thrill beach purists of all varieties. Established in 1985 and located 22 miles south of Wilmington, Zeke’s Island is unique in that the terrain of this reserve is lagoon-like, and is one of the most unusual spots along the coastline. Though formally known as the “Zeke's Island Estuarine Reserve,” the 1,635 acre site is actually comprised of a network of islands, which includes Zeke’s Island, North Island, No Name Island, a beach barrier spit ,and extensive and ever-changing fringing marshes and tidal flats that can change shape with an incoming or outgoing tide. The ensuing terrain has resulted in a myriad of distinct coastal habitats which includes tidal flats, salt marshes, maritime forest, shrub thickets, sand dunes, and ocean-facing beaches. Because of this salty and diversified environment, a wide range of species can easily call Zeke’s Island home, which includes some more unusual and even endangered local residents. A wide array of fish, shrimp, crabs, clams, and oysters use the surrounding and protected estuaries as nursery grounds, while birds literally flock to the shoreline for the great food and isolated environment. In fact, the tidal flats within the Zeke's Island Estuarine Reserve are considered some of the most important shorebird habitats in the state, and an array of coveted birdwatching species have been spotted in the surrounding waters. The site is more or less bounded by Federal Point and the Fort Fisher State Recreation area to the north, and Smith Island to the south. The Atlantic Ocean lies on its eastern borders, while the Cape Fear River can be found to the west, which provides miles of shorelines on both side of the island(s) to go around. Unlike its larger reserve neighbor to the north – Masonboro Island – Zeke’s Island Reserve is fairly easy to reach for virtually all Cape Fear area visitors. Explorers can take US 421 from the heart of Wilmington all the way south to the tip of Federal Point, where a public boat ramp that’s managed by the N.C. Wildlife Resources Commission is waiting. The New Hanover County Parks and Recreation Department also maintains a pedestrian beach facility, for walkers and hikers who want to patrol the shoreline, as well as a vehicular dune crossover which is situated close to the North Carolina Aquarium at Fort Fisher. 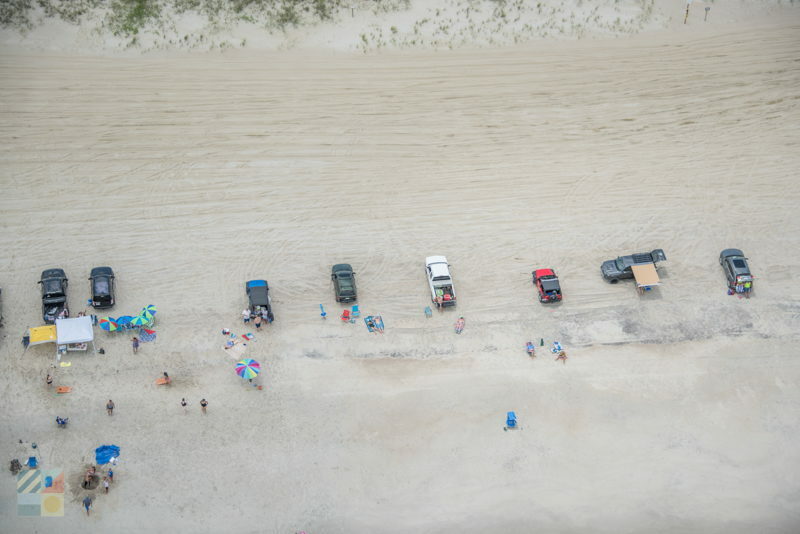 4WD vehicles may be allowed to cruise down the beaches, and more information on driving regulations for visitors can be found online at http://www.nccoastalreserve.net/web/crp/zekes-island. We've put together a short list of recommended items to get unstuck and stay safe. We like these linked products, but we took care to make sure they are also highly-rated by many customers. Some of the product links include Amazon affiliate codes. *If a purchase is made, we are paid a commission for the referral. In addition, the N.C. Department of Transportation operates a public vehicular ferry from the Fort Fisher terminal which is adjacent to the northern reserve boundary. This provides an easy route for inland visitors who want a quick escape to a deserted beach. Outside of the primary island and ocean-facing shoreline, however, access to the smaller islands within the reserve begins to get a little tricky. Most visitors who want to explore these remote, Cape Fear River-bordering islands will need to use a privately owned vessel or kayak to reach the beach. 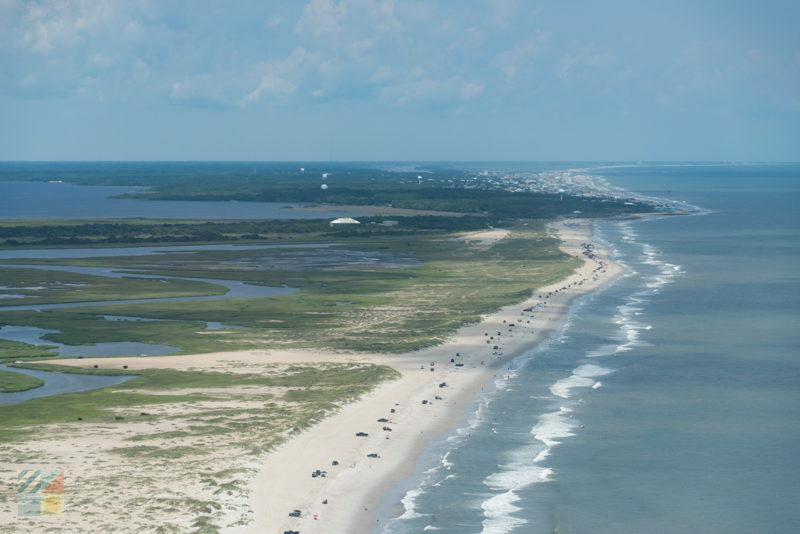 The North Beach of the Basin is the main educational area of Zeke’s Island Reserve, and is the launching point for a number of recreational activities (including swimming, shelling, and just enjoying a great beach day.) Walking trails are located throughout the reserve, via a partnership with the North Carolina Aquarium at Fort Fisher, however the trails are rustic and visitors should use caution due to mosquitos, snakes, potentially soggy ground, and other natural hazards. Once on the island(s) – regardless of mode of transportation to get there – visitors will be treated to a wide variety of things to do to make their natural exploration simply extraordinary. Hiking – There are rustic nature trails located on the northern edge of the reserve, which allows visitors to explore a collection of varying habitats with a single leisurely stroll. In addition, visitors can patrol the beaches while enjoying ocean waves and decent shelling, or can enjoy an exploration of the harder-to-reach North Island, which is the largest and most ecologically diverse of the three major island components. Hikers will want to avoid the isolated No Name Island, simply because the ensuing terrain is soggy and hard to navigate under the best conditions. Beaching – The shoreline of Zeke’s Island is fantastic and nicely uncrowded, thanks to miles of wide beaches to go around. Enjoy a full day of sunning and swimming, but use caution when entering the ocean waters – there are no lifeguarded beaches in the reserve, and few crowds, so visitors will inevitably swim at their own risk. Shelling – Zeke’s Island is a prime destination for shelling, due to its isolation and lack of development. Try to plan a shelling expedition around low tide, or a couple days after a storm, for the best chance of acquiring North Carolina treasures like whelks, olive shells, sand dollars, and the rare Scotch Bonnets. Kayaking - Zeke’s Island is well known as a paradise for paddlers, thanks to endless marshy trails that circle isolated islands where the wildlife watching is nothing short of outstanding. Launch from the eastern edge of Federal Point or anywhere along the western edge of the island (close to The Basin) to avoid maritime traffic, and to enjoy miles of secluded marshes and impromptu paddle trails. Fishing – The waters that surround the western edges of the Zeke's Island Estuarine Reserve are popular with inshore fishermen, and it’s easy for visitors to join in the fun. The area is well-known as a great spot for kayak fishermen, and a wide range of species – including flounder, mackerel, mullet, and pompano – can be pulled in from the waters. Just be sure and have a North Carolina Saltwater Fishing License in hand before casting a line. Birdwatching – Because of its reputation as one of the most important shorebird habitats in southern North Carolina, it should come as no surprise that the Zeke’s Island Reserve is a spectacular destination for birdwatchers. Look for both common and more unusual / threatened species along the tidal flats, ocean beaches and marshes, such as black-bellied plovers, short-billed dowitchers, white ibis, great blue herons, black ducks, mallards, and pintails. Photography – Nature lovers and artists will fall in love with the Zeke's Island Estuarine Reserve, due to its network of secluded landscapes where the local wildlife comes into focus. Take a waterproof camera and a kayak to explore the small salty channels on the western edge of the reserve, or just hit the beach around sunrise / sunset, (depending on the time of year), for fantastic ocean views without the crowds or neighboring Carolina Beach and Kure Beach. The fall and winter months are both incredible times to visit. With few crowds, great shelling and area fishing, and off-season rates at area accommodations, visitors will have an opportunity to enjoy the Zeke's Island Estuarine Reserve at its scenic and most uncrowded best. Bring trash bags, water, and all the supplies you’ll need for a day of exploring. There are no facilities within Zeke's Island Estuarine Reserve, (such as trash cans and public restrooms), so coming prepared is key. Bug spray is a must in the warm weather months, especially for visitors who plan to venture off the beach to the river-facing and marshy terrain. When the winds are calm, the mosquitos come out, so be sure and come prepared. Watch the tide tables for kayaking, shelling, and fishing adventures. So much of the local landscape of the Zeke's Island Estuarine Reserve is dependent on incoming and outgoing tides, so in order to ensure that there are ample waterways that are deep enough to explore, a high tide-timed trip is extremely helpful. Watch for maritime traffic if you’re paddling through the Cape Fear River waters to reach Zeke's Island Estuarine Reserve. Vessels of all sizes utilize this waterway to reach the busy port city of Wilmington, so caution is key. Visitors are cautioned not to disturb the local vegetation or wildlife, observe posted bird or sea turtle nesting areas, and essentially follow the rules in place to ensure a safe and stress-free trip to the reserve. For complete information on Zeke's Island Estuarine Reserve, visit the rules and policies website at http://www.nccoastalreserve.net/web/crp/112. Note that overnight camping, littering, and open fires or fireworks are NOT allowed throughout the reserve area. Zeke's Island Estuarine Reserve is a stunning destination for visitors who love to have a stretch of coastline all to themselves. With impressive landscapes, scores of local wildlife, and fantastic beaches where the ocean steals the scene, it’s no wonder why so many Cape Fear explorers make a trek to this nicely accommodating beach. Be respectful of the local environment, take out whatever you bring in, and enjoy one of the best isolated regions in the Cape Fear area. With so much to offer nature lovers, Zeke's Island Estuarine Reserve represents a beautiful slice of what the inherently wild beach scene in southern North Carolina is all about. Where is the Zeke’s Island Estuarine Reserve? The Zeke’s Island Estuarine Reserve is located about 22 miles south of Wilmington, NC, and is immediately bordered to the north by the Fort Fisher State Recreation Area. It is bordered to the south by Bald Head Island, and is separated from the North Carolina mainland by the Cape Fear River. How do you get to the Zeke’s Island Estuarine Reserve? Visitors can easily walk or boat to certain regions of the Zeke’s Island Estuarine Reserve. 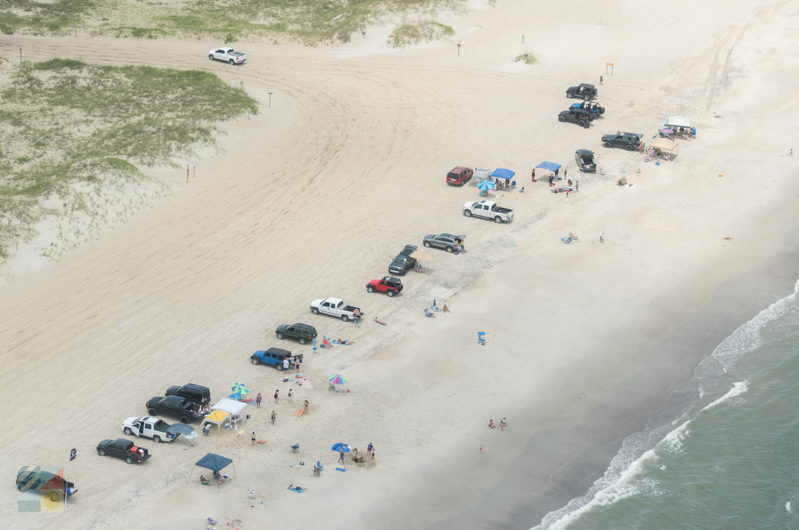 The ocean beaches can be reached by parking at the Fort Fisher State Recreation Area and heading south, while the outlying islands, such as Zeke’s Island or No Name Island, can be reached via a public boat launch that is located just north of the reserve at Federal Point. What are the islands within Zeke’s Island Estuarine Reserve? There are a collection of islands that make up Zeke’s Island Estuarine Reserve, and which include Zeke’s Island, North Island, No Name Island, and a number of outlying and extensive marshes and tidal flats. 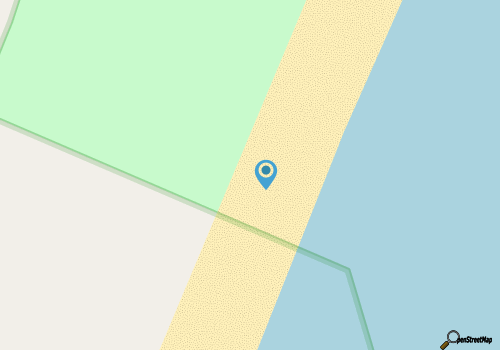 Is Zeke’s Island Estuarine Reserve part of Fort Fisher Recreation Area? Zeke’s Island Estuarine Reserve is not a part of the Fort Fisher State Recreation Area, and is instead a component of the North Carolina Reserve and National Estuarine System. That said, Fort Fisher State Recreation Area is a management partner that helps protect the site. Why is the Zeke’s Island Estuarine Reserve special? Per the North Carolina Division of Environmental Quality, Zeke’s Island Estuarine Reserve is the most important shorebird habitat in southeastern North Carolina. The site attracts a wide array of endangered or threatened bird species, as well as seasonal sea turtles which lay their eggs on the barrier island beaches. In addition, the lagoon-like complex at the Zeke’s Island site, which includes a series of smaller islands and basins, is one of the most unusual areas of the North Carolina coastline due to its unique geography. Can you drive to the Zeke’s Island Estuarine Reserve? Visitors can drive to the Zeke’s Island Estuarine Reserve via 421 South, and can park at the Fort Fisher State Recreation Area to access the site. 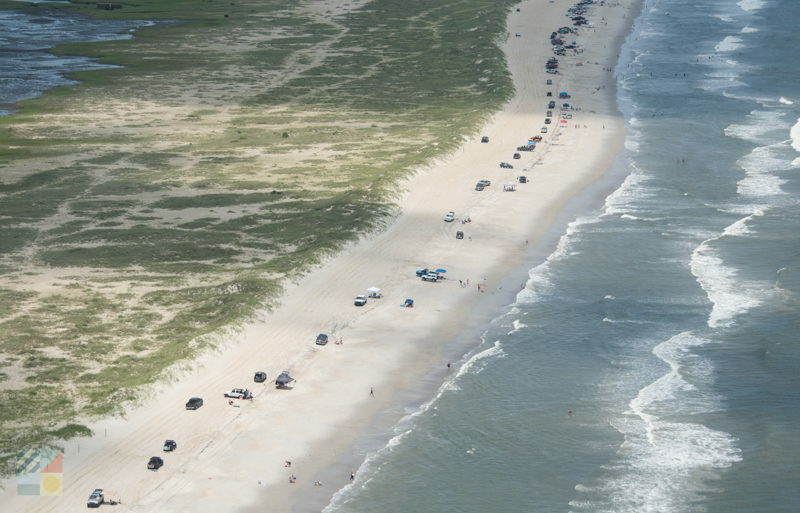 In addition, 4WD vehicles are permitted to drive along some of the barrier island beaches with a permit. Can you launch a boat to reach the Zeke’s Island Estuarine Reserve? Visitors can easily launch a boat to reach the more isolated islands that make up the Zeke’s Island Estuarine Reserve. A public boat ramp that is managed by the North Carolina Wildlife Resources Commission is located just north of the Zeke’s Island Estuarine Reserve at Federal Point, which is next to Fort Fisher. Can you take a ferry to the Zeke’s Island Estuarine Reserve? Visitors along the southern North Carolina mainland can take the Southport – Fort Fisher ferry to access the Fort Fisher Recreation Area, which is just a shell’s throw away from the Zeke’s Island Estuarine Reserve. Can you camp in the Zeke’s Island Estuarine Reserve? Camping is not allowed within the Zeke’s Island Estuarine Reserve. What should you bring to visit the Zeke’s Island Estuarine Reserve? Because the Zeke’s Island Estuarine Reserve is isolated and undeveloped, there are no restrooms, drinking water, or other amenities available within the reserve. As such, visitors should bring along all supplies they will need, (including drinks, snacks, and bug spray), to explore the reserve. Are there special events at the Zeke’s Island Estuarine Reserve? Zeke’s Island Estuarine Reserve hosts a wide array of educational programs throughout the summer months that focus on unique aspects of the reserve, such as fishing and crabbing sessions, sea turtle nesting programs, birdwatching tours, and other outdoor activities. How large is the Zeke’s Island Estuarine Reserve? The Zeke’s Island Estuarine Reserve is 1,635 acres in area, which includes more than 220 acres of uplands, as well as roughly 1,400 acres of estuary habitats. Where can you stay at the Zeke’s Island Estuarine Reserve? While camping is not permitted and there are no accommodations available in the immediate area of the Zeke’s Island Estuarine Reserve, visitors can stay relatively close to the reserve site in the nearby towns of Kure Beach and Carolina Beach. Both of these vacation destinations feature a number of vacation rental homes or condos, hotels and motels, and campgrounds and / or RV parks. Are there restaurants near the Zeke’s Island Estuarine Reserve? The towns of Kure Beach and Carolina Beach, which are just north of the Zeke’s Island Estuarine Reserve and the Fort Fisher State Recreation Area, feature a wide array of restaurants for visitors. Are there restrooms available at the Zeke’s Island Estuarine Reserve? There are no restrooms within the Zeke’s Island Estuarine Reserve. Restrooms can be found just north of the barrier island portion of the reserve site, at the Fort Fisher State Recreation Area. Are there mosquitos at the Zeke’s Island Estuarine Reserve? There can be mosquitos within the Zeke’s Island Estuarine Reserve, especially on the smaller and undeveloped islands that border the Cape Fear River, and in all regions that are away from the ocean-facing beaches. Visitors will want to bring along bug spray as needed, particularly in the warm summer months. Are there poisonous snakes at the Zeke’s Island Estuarine Reserve? The marshy areas of the Zeke’s Island Estuarine Reserve can have snakes, which includes two venomous varieties that are native to coastal North Carolina -the copperhead and the cottonmouth. Visitors will want to use caution when exploring the marshy areas away from the ocean shorelines. Are there hiking trails at the Zeke’s Island Estuarine Reserve? A short walking trail that overlooks the Zeke’s Island Estuarine Reserve site is located next to the parking lot at the Fort Fisher State Recreation Area, and a longer and more remote self-guided nature trail is available on Zeke’s Island as well. What kind of birds can be found at the Zeke’s Island Estuarine Reserve? Because Zeke’s Island Estuarine Reserve is known as one of the most important bird habitats in the southern portion of coastal North Carolina, a myriad of species can be spotted throughout the year. Popular species for birdwatchers that frequent the reserve include black-bellied plovers, short-billed dowitchers, white ibis, great blue herons, mallards, black ducks and pintails. Where are the birding spots in the Zeke’s Island Estuarine Reserve? Visitors will find a nature trail on Zeke’s Island, as well as a short walking trail that accesses the Zeke’s Island Estuarine Reserve next to the parking lot at the Fort Fisher Recreation area. Both trails can provide ample birdwatching opportunities along the beaches and marshes of the reserve. What is the landscape like at the Zeke’s Island Estuarine Reserve? Zeke’s Island Estuarine Reserve is unique, as it is located within the Cap Fear River basin, and features a series of islands including Zeke’s Island, North Island, and No Name Island. The ensuing terrain of the site is diverse, and includes shoals that appear and disappear, expansive fringing marshes, tidal flats, maritime forest, scattered sand dune systems, and ocean-facing beaches. When is the best time to visit the Zeke’s Island Estuarine Reserve? Fishermen, beachcombers, and visitors who enjoy an isolated shoreline will want to visit the Zeke’s Island Estuarine Reserve in the fall and spring months, when the islands are uncrowded but temperate. Summer is a popular time to visit the Zeke’s Island Estuarine Reserve as well, due to the ocean-facing beaches, warm water, and opportunities for swimming, fishing, and exploring. Can you fish at the Zeke’s Island Estuarine Reserve? Fishing is allowed within the Zeke’s Island Estuarine Reserve, and anglers can head to the barrier island shoreline to cast a line, or can explore the smaller islands that border the Cape Fear River via a boat or inshore charter trip. Is hunting allowed in the Zeke’s Island Estuarine Reserve? Hunting is not permitted anywhere within the Zeke’s Island Estuarine Reserve. When is the Zeke’s Island Estuarine Reserve open? The Zeke’s Island Estuarine Reserve is open year-round for visitors, and parking for the site is available via the Fort Fisher State Recreation Area all year long as well. Are pets allowed at the Zeke’s Island Estuarine Reserve? Dogs are allowed within the Zeke’s Island Estuarine Reserve, however pets must be on a leash at all times, and may not disturb the local wildlife. Can you have a fire at the Zeke’s Island Estuarine Reserve? Fires are not allowed within the Zeke’s Island Estuarine Reserve. Can you launch fireworks at the Zeke’s Island Estuarine Reserve? Fireworks are not permitted within the Zeke’s Island Estuarine Reserve. Are there paddling trails at the Zeke’s Island Estuarine Reserve? While there are no designated paddling trails within the Zeke’s Island Estuarine Reserve, the site is a very popular destination for kayakers. A boat launch is located by Federal Point, and visitors can also easily launch off the shorelines of the Fort Fisher State Recreation Area to access the site. Are there shells at the Zeke’s Island Estuarine Reserve? The Zeke’s Island Estuarine Reserve can have decent seashells, depending on the time of year. Beachcombers tend to have the best luck in the fall, winter, and early spring months, when the beaches are at their least crowded, and when fall hurricanes or winter nor’easters can result in big piles of shells washing ashore. Are there tours of the Zeke’s Island Estuarine Reserve? There may be seasonal walking tours or explorations of the Zeke’s Island Estuarine Reserve, which may be available in conjunction with the Fort Fisher State Recreation Area. In addition, privately owned charter or watersports businesses may also offer guided kayak tours, inshore fishing charters, and other boat tours of the reserve.